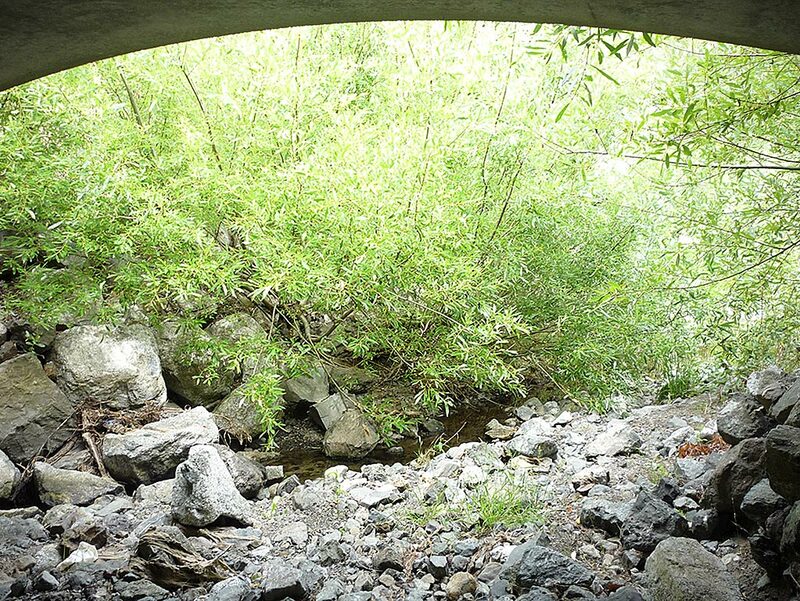 A 1997 hillside failure resulted in a landslide that covered Polhemus Road and Polhemus Creek. 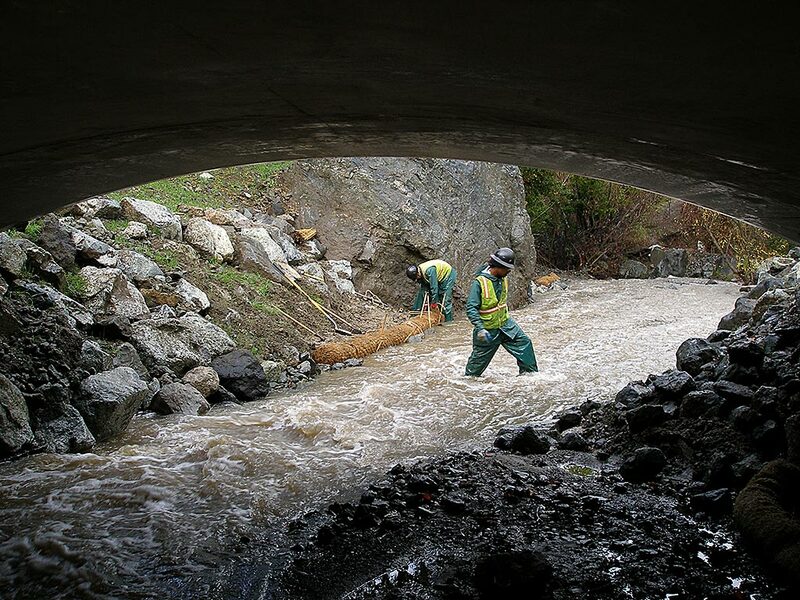 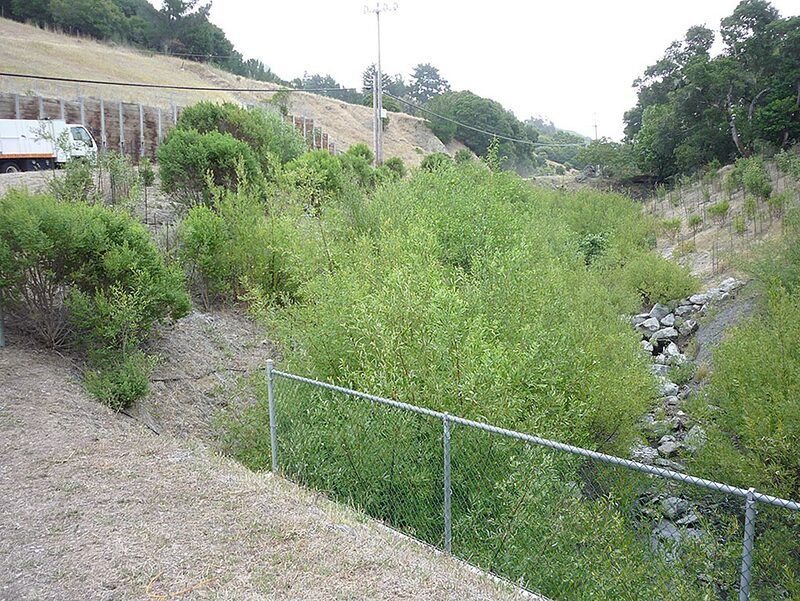 The San Francisco Public Utilities Commission initiated an emergency stabilization project to protect the nearby Crystal Springs Bypass Water Pipeline which included filling a 275-foot stretch of Polhemus Creek with cobble to stabilize the toe of the slope. 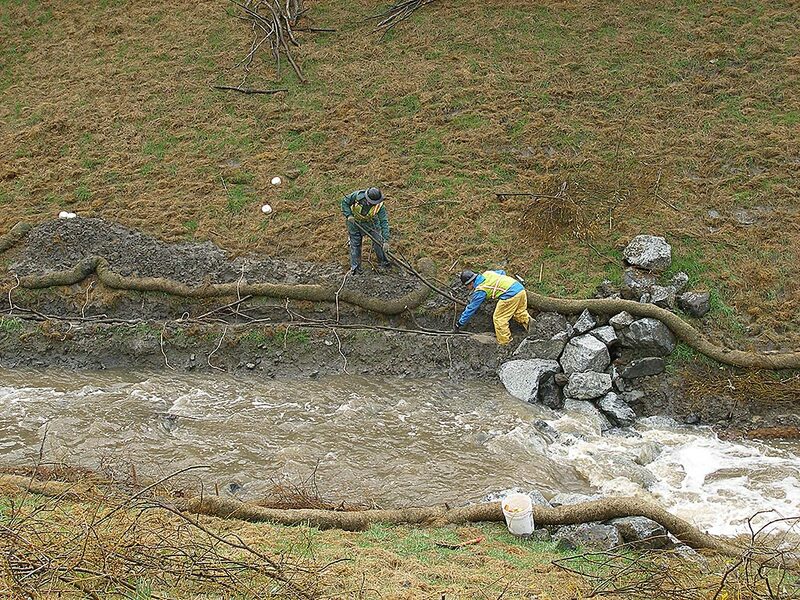 After the landslide was repaired, state and federal regulatory agencies required the entire reach of Polhemus Creek to be restored and enhanced for steelhead trout utilization. 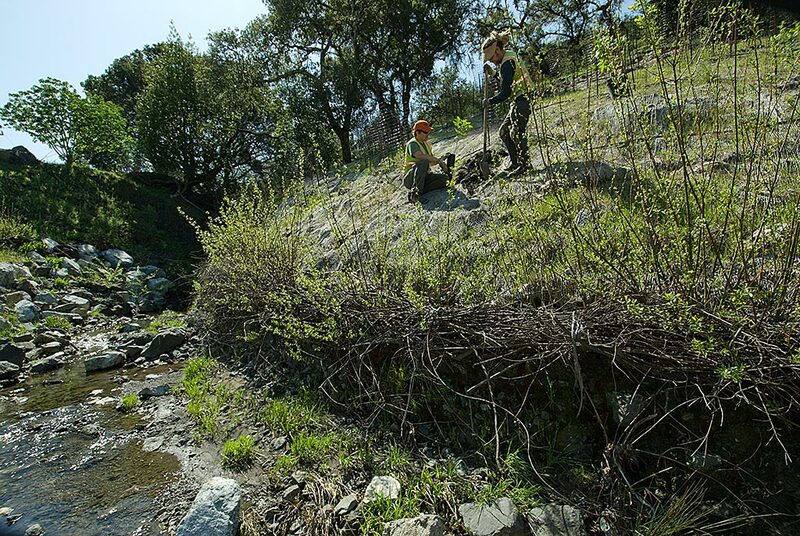 In 2006, Shelterbelt was hired to restore a section of Polhemus Creek by installing erosion control materials, biotechnical bank protection, native plantings and a drip irrigation system. 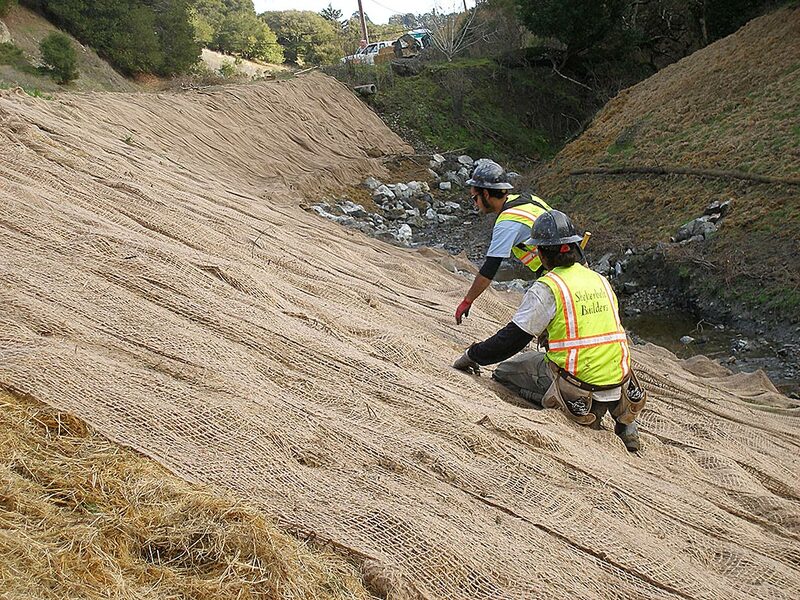 After Shelterbelt excavated the remaining temporary cobble rock fill, we designed and implemented a combination biotechnical/structural erosion control system to protect the creek channel. 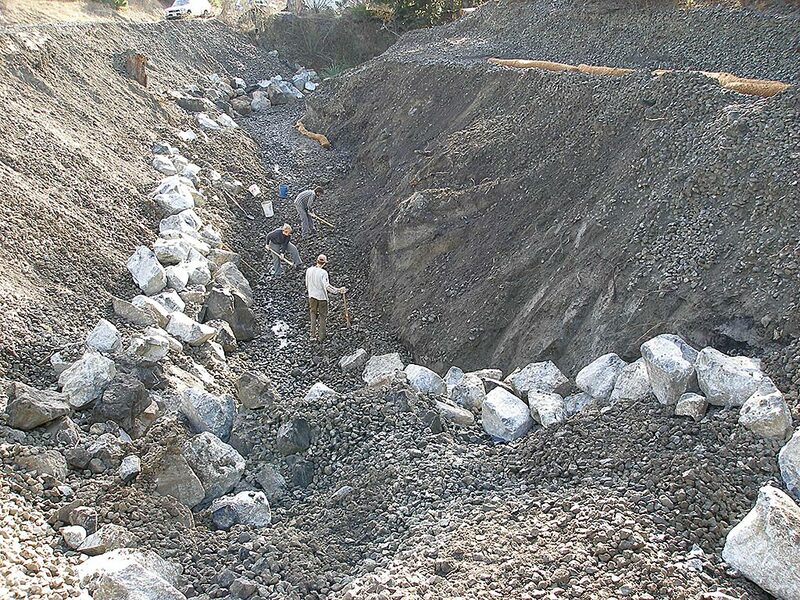 A French drain and rolling dips were also installed to direct runoff away from weak sections of the bank and protect the site from other landslide complexes. 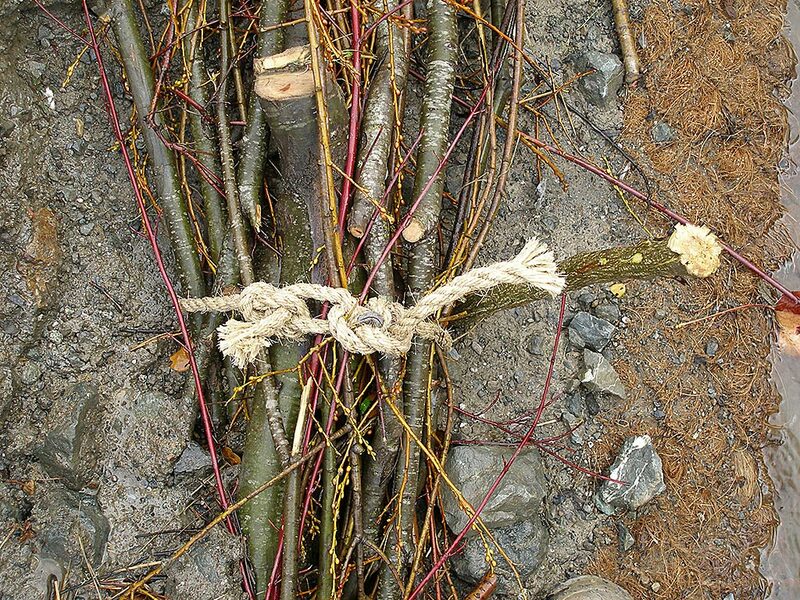 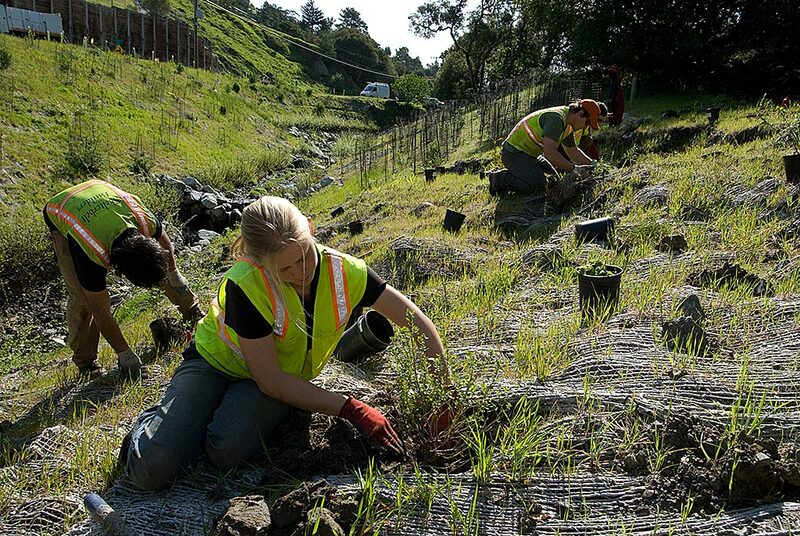 The entire site was covered with rice straw mulch, straw wattles and overlaid with jute netting to inhibit slope degradation and then planted with genetically-local native trees and shrubs, complete with drip irrigation system. 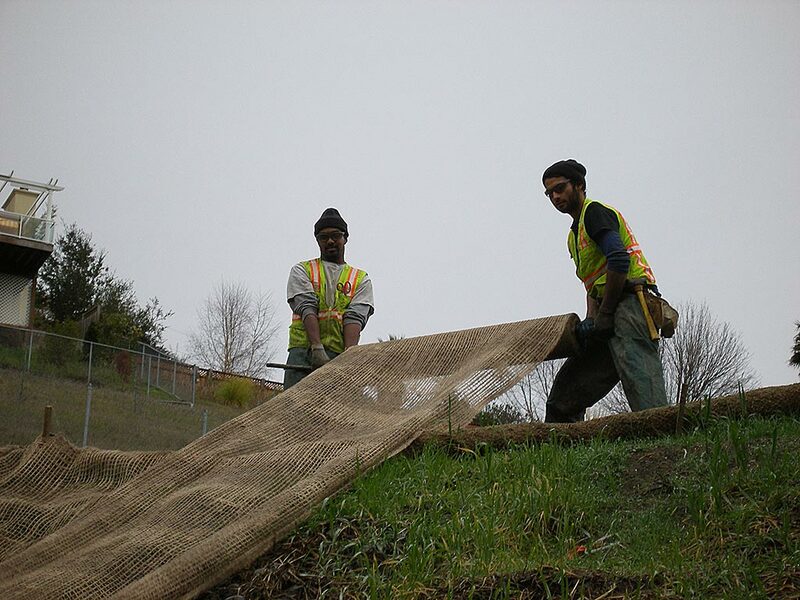 Site maintenance and monitoring is conducted annually by Shelterbelt biological staff during the extended establishment period.